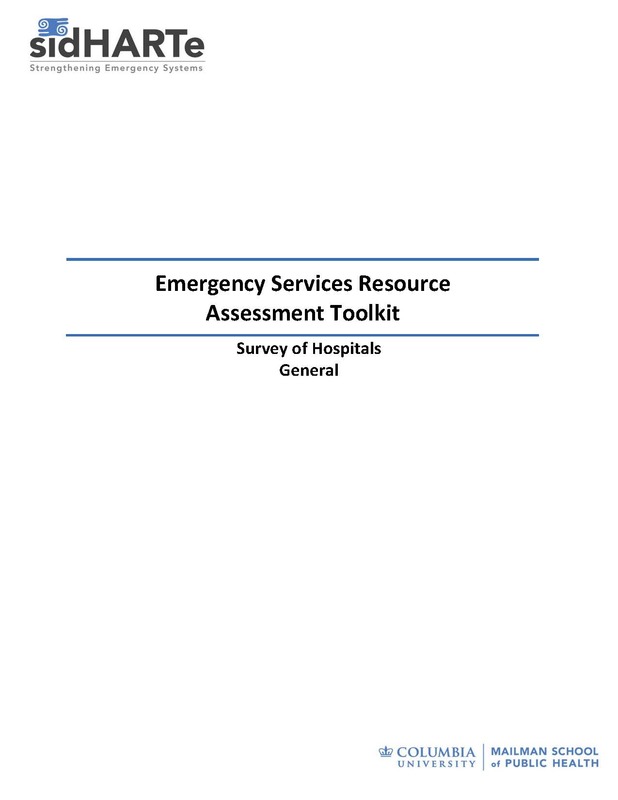 The Emergency Services Resource Assessment Tool (ESRAT) is a resource and needs assessment tool designed to evaluate district hospitals’ capacity to care for undifferentiated acute illnesses. The tool focuses on staffing, infrastructure, medications, and equipment; as well as continuing medical education and services available for care of patients with traumatic injuries and emergency conditions. Data generated from implementation of the ESRAT allows for a better understanding of the current state of emergency care. Using the results, key institutions within the health system can formulate the appropriate intervention to strengthen emergency systems and improve the quality of acute care services provided.